You really don’t have to wait or even celebrate Easter to make this amazingly flavorful and super easy Chocolate Chip Monkey Bread Recipe. 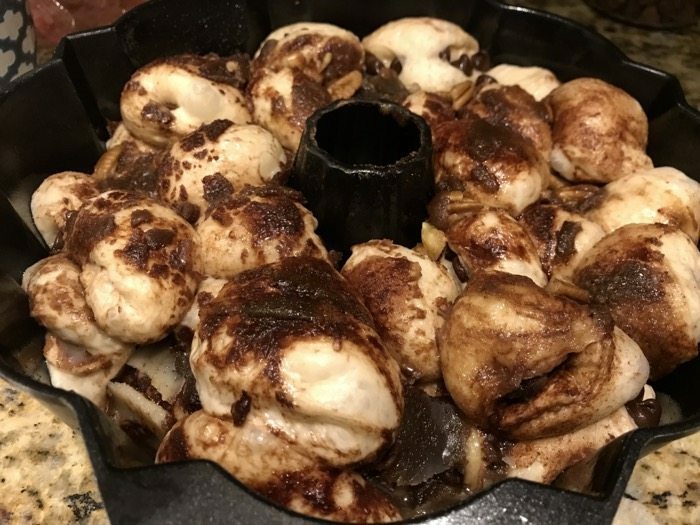 In fact, we were anticipating a snow day, so I made the monkey bread after dinner and let it sit out overnight when I knew I would have a little extra time in the morning. The kids started the morning with a super sweet treat that we will be making again. The first monkey bread I ever tasted was from my neighbor who gives Monkey Bread for neighbor gifts. 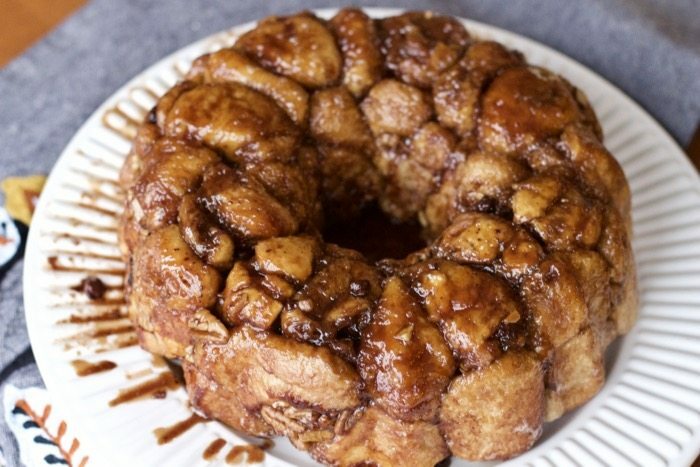 Monkey Bread is a great brunch recipe since you have to make it ahead of time and it rises overnight. 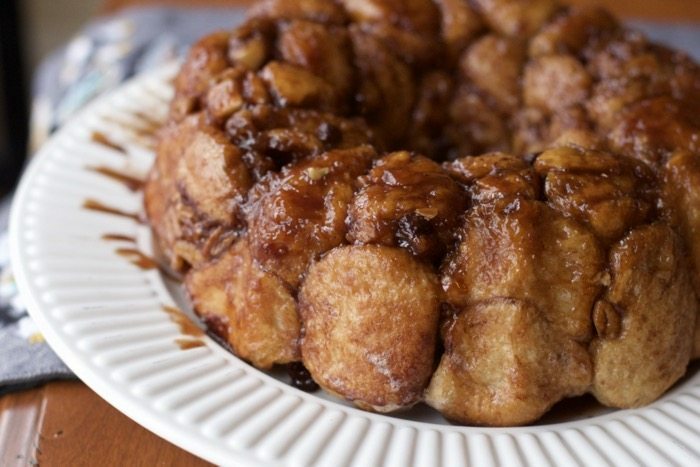 If you love monkey bread and you adore chocolate, then this is the recipe for you. The process is the same but the result is a more dense bread that will be screaming for a cup of milk or warm cup of coffee. We can’t wait for you to try this tasty breakfast bread at your next brunch or just for fun! 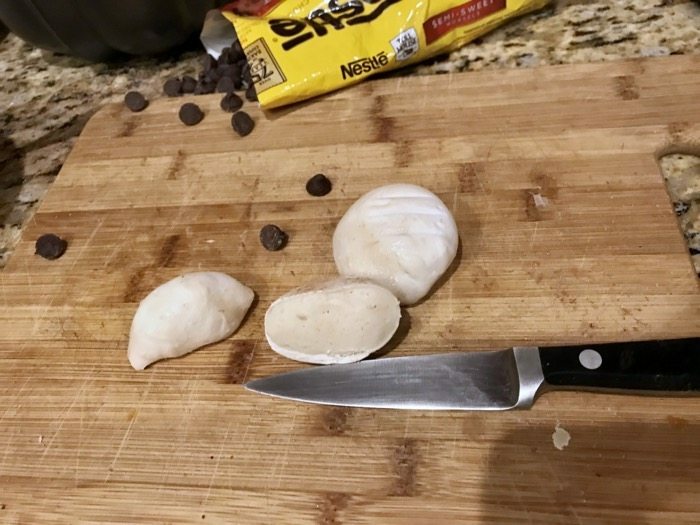 For this recipe, we cut the defrosted, but still cold, frozen rolls in half. 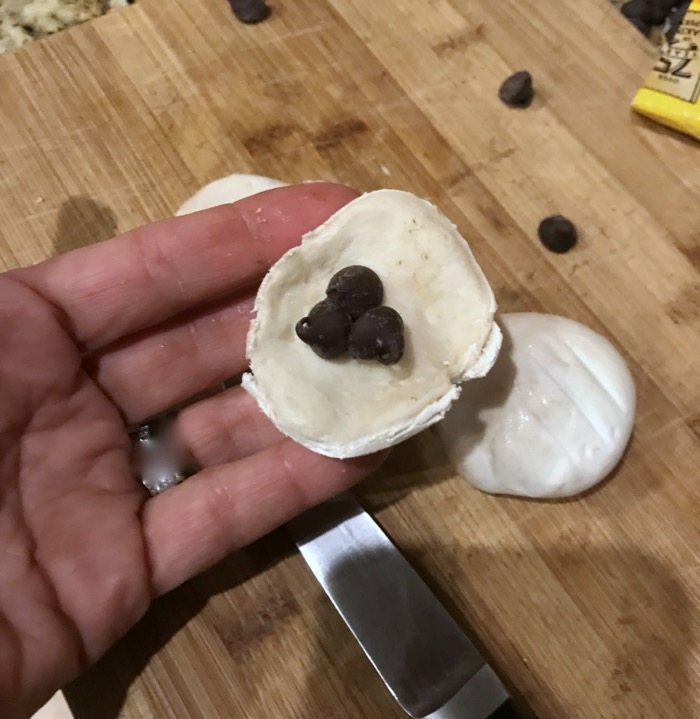 Then stuff them with a few chocolate chips and cover these with the flattened out roll. 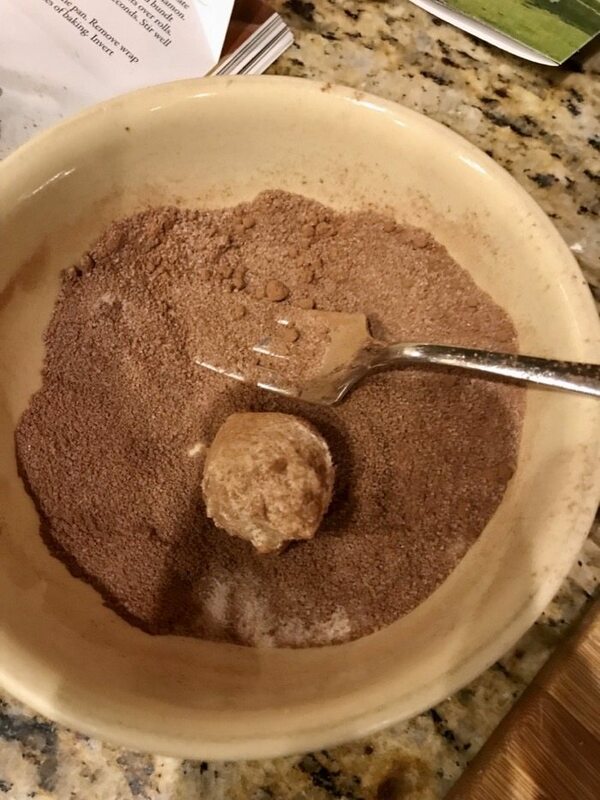 Roll the dough in the cocoa and sugar mixture and place in a bundt pan. Repeat this process with all the rolls then dump the melted butter and cocoa mixutre over the rolls. Cover the pan and rolls. and Allow the rolls to rise, we did this overnight. 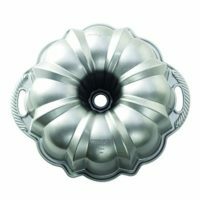 Bake for about 35 minutes and invert the pan immediately onto a serving dish. Serve to many happy brunch goers. What is your favorite monkey bread combo?